As January is typically a month when I find it hard to get excited about anything (except the inauguration party I am planning) I am running a little blog project for the whole month. I have asked my favourite bloggers to answer a few questions about their favourite design finds, and their New Year's Style Resolutions. Of course, there are more important resolutions in life, but I thought these would make a fun diversion from the cold and gloom of a British January. I have been so inspired by ideas I have seen online so I am excited to see what the contributors have to share. First up is Miss Aimee from Mostly Mod. I love the chaos which seems to reign at Miss Aimee's home, where there always seems to be lots going on, including the ascent of an eight year-old rock star and a great Christmas tradition of having a party for kids to decorate cookies, which they then took to an old people's home. The party even has widespread reknown, as I also read about it here. Thanks Miss Aimee for taking part! I was flattered to be asked to take part, and anxious to see what I could put together for Lynne for her Resolution Project. My Blog is Mostly Mod, and I am Miss Aimee. 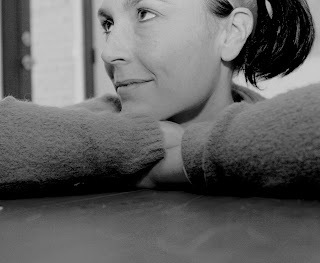 I am a full-time photographer, who works from home with my wonderfully supportive husband and three kids under eight. Q. What was your favourite design find or achievement for 2008? A. I would have to say without a doubt our kitchen. So, last year we gutted the kitchen, and all the walls downstairs to create an open floor plan. 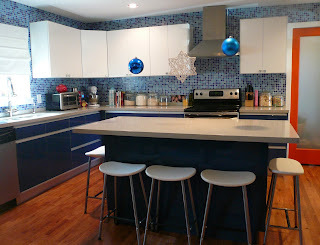 We added hardwood floors, created a few walls and thanks to my husband's kitchen design we were able to spend less money using Ikea cabinets, but spent more on the Sile stone, and mosaic tiles imported from Spain. We used the existing oven and dishwasher to keep within our budget and brought our previous fridge from the last house. 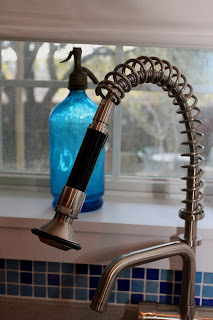 The faucet was from Ikea and as soon as I saw it, I knew that would complete the look we were going for! In retrospect we would have made the island bigger, but it fits our family of 5 just perfectly, and happens to be where we spend all our time. 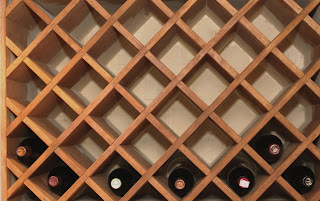 This wine rack was custom built over our fridge, it fits 39 wine bottles, and is the greatest new Christmas addition! We had our annual Ho-Ho-Ho party this year and sadly the rack was full less then a month ago! 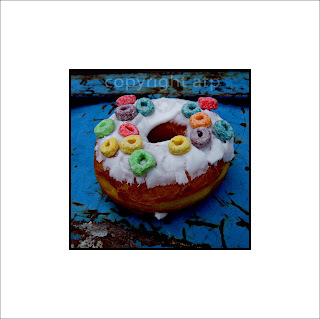 A. I am working on a coffee table book, and would have to say it is taking the top of my 2009 list. I am also trying to down on shopping and fashion for '09 as I am working on a family budget (spent way too much on this last year). By shopping I mean: buying endless impulsive Etsy buys or that 3rd letterpress calendar that I just have to have, or buying the kids gifts for no reason (we are trying to strictly limit to holidays only-which is sometimes hard with 3 screaming children). Q. 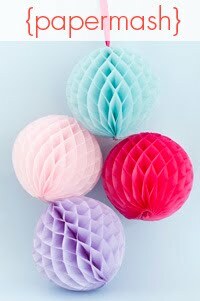 What style/design blogs will you be reading in 2009? A. My list is so long it would bore you, so you will just have to look at my blog's side bar for my daily morning coffee reads because honestly I am totally inspired by every blog on my list and read ALL of them daily! I have not been in the blogging world long, but will say it has completely changed my life (in the best way possible). Love the style resolutions! Great idea! Thanks for stopping by my blog - so exciting planning for the Obama party isn't it!? Blueberry muffins and chocolate brownies sound like a great idea to make! I was going to make chilli too - did you google it and see it's his favourite? But agreed-too hard! Your party sounds very cool, quotes around are a great idea too. might be some good tunes there to play. You're so lucky you were in NY for election! How was it? Electrifying? Oh wow! Very lucky! thanks for the great introduction! *whew* what a busy life and great accomplishments. Happy 2009!! Great post, and thanks for introducing me to Mostly Mod! Wow such a great review - and LOVE the kitchen and seeing more inside her life! What a great idea for a new series Lynne! LOVE Miss Aimee and Mostly Mod, and this is such a special peek into her life. great interview! Fabulous series, Lynne! And these style resolutions are wonderful. aimee! what a fabulous kitchen! thanks for the peek into your environment... WOW! A great post! I adore Aimee's home. Thanks for sharing!